Some say that a picture is worth a thousand words. But in the case of a recent local essay competition, pictures were used to inspire writers to show how powerful words can be. Using artist Jack Boul's miniature, monotype prints -- which were on exhibit at the Center for Contemporary Printmaking through Nov. 13 -- to get their creative juices flowing, writers from Fairfield and Westchester Counties penned 1,500-word memoirs. The winning essay by Danbury resident Priscilla Whitley poignantly captures the tedium of the days during one summer long ago when she and her father grappled with her mother's suicide death. In partnership with MouseMuse Productions and the Writers Artists Collaborative, Sunday CCP hosted a public reading and reception for the award-winning writers at its Norwalk facility. Professional actors read the following memoirs: Whitley's "August on the Porch"; second prize, "Tonsillectomy 1966" by Ivy Eisenberg, and third prize, "Cross Over to a Better Figure" by Kate Corr Frame. Additionally, honorable mentions were given to Kitty Burns Florey, "Door Never Opened"; Ryan Odinak, "Blackberries and Kudzu"; Margaret Rumford, "The Reluctant Witness"; Marcelle Soviero, "Cape Cod"; Robert Steven Williams, "Batter Up"; Anne Ziff, "Baby Girl Z", and Sujeet Rajan, "My Great Grandmother." "We do this contest once a year," said Ina Chadwick, founder of MouseMuse Productions. "It gives writers a chance to make some money, it gives writers a chance to be published, and it gives writers a chance to simply have a deadline." CCP's Artistic Director Anthony Kirk and Executive Director Julyan Norman said that they were "intrigued with juxtaposing the visual and the literary arts." Kirk came up with the idea of linking the contest to Boul's exhibit. "Boul's work, nostalgic and suggestive of an earlier time, proved to be both evocative and eclectic enough to provide writers with a basis for their submissions, broadly encompassed under the theme of dejà vu," Norman said. The challenge was to tailor the writing competition to the prints, which varied in subject matter. Boul is noted for portraying diverse themes, such as cows, dancers and the sea. For this reason, Chadwick explained during her opening remarks, the submitted memoirs also contained diverse topics. While Whitley's takes on difficult subject matter, Eisenberg's takes on the voice of a smart-alecky 10-year-old as she humorously recounts how she attempts to be the more courageous sister when she and her sibling get their tonsils taken out in 1966. In "Cross Over to a Better Figure," Frame reveals herself as an emerging adolescent who is ambivalent, at first, about getting her first bra. "It was an interesting competition," Chadwick said. "Everything in Boul's work has motion and a feeling of `you've been there.' In creating the writing prompt dejà vu, all of the pieces we received were mellow. They weren't high drama. They were really about nostalgia." Though she was delighted to be recognized as the first place winner, Whitley said that it was "harrowing" to hear her words read aloud. "It was a memoir, so it was hard," she said. "If it was fiction, it would've been easier to hear." A resident of Danbury, Whitley initially met Chadwick last year at a gathering of the Writers Artists Collaborative. Whitley works by day in the communications and marketing department of the Aldrich Contemporary Art Museum in Ridgefield and is the recipient of several writing awards. 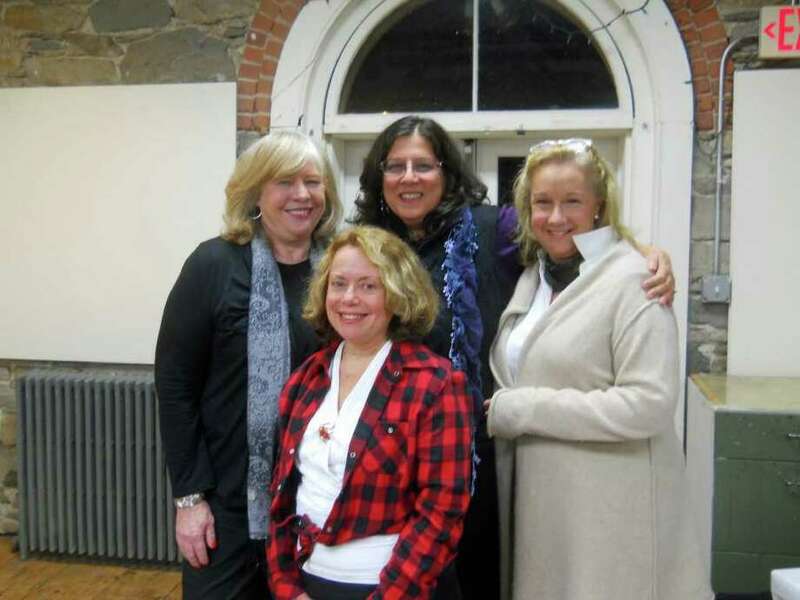 She is also the facilitator of the Candlewood Writers Group in Danbury and a member of the Westport Writers' Workshop. She and Frame had both of their award-winning essays fine-tuned in a class there taught by Valerie Seiling Jacobs. Whitley said that lately, her primary focus has been in writing memoirs. Frame, too, is working on a memoir based on her 20-year career in the advertising industry. She recently completed the first draft of her book, "My Life in 30 Seconds." The actors reading the three award-winning essays Sunday afternoon were Susan Terry, Eileen Winnick and Megan Smith Harris. Norman said that the writing competition enabled CCP to reach out to a new audience. "To everyone who submitted, CCP would like to say thank you for your stories -- they were all in various and varied ways affecting -- sometimes amusing, sometimes heartbreaking, always inspiring as examples of how the human spirit endures and moves on," Norman said. The essays will be broadcast on radio station WPKN-89.5 and published in the Weston Magazine Group.